We, manufacture Pipe Expansion Joint from ID 20 MM to ID 2500 MM. We follows latest EJMA Standards and ASME Code for the design, manufacture & quality assurance of Metallic Expansion Joints. 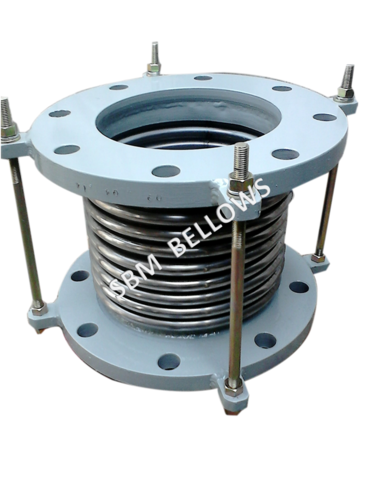 We manufacture Pipe Expansion Joint in all grades of 300 series steel, inconel and with all types of end fittings. We manufacture single ply, multiply Expansion Joint as per customer requirements.Our each Expansion Joint pass through several steps of routine test before final delivery to our customer.